Marvel over the Renaissance gems of Florence on this private 3-hour tour, and check off highlights such as Florence Duomo, Giotto's Bell tower, and Ponte Vecchio. To maximize your time in the city, combine your walking tour with skip-the-line access to the Uffizi Gallery (entrance not included), one of Italy’s most important art museums. Meet your private guide in Piazza della Repubblica in the heart of Florence and set off on a walking tour of the historic city. Learn how Florence earned its nickname of the ‘Cradle of the Renaissance’ as you stroll the atmospheric lanes and lively piazzas of the UNESCO-listed center. Your private tour is yours to customise as you please, so you can stop along the way to visit the magnificent Florence Duomo (own expense) and Baptistery; take in the views from Giotto's Bell tower; or pose for photos on the landmark Ponte Vecchio bridge. Pass the grand monuments of Signoria Square en-route to the Uffizi Gallery, then use your pre-booked skip-the-line tickets (not included in tour price) to dodge the crowds and head straight inside. 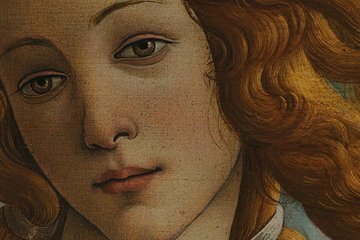 Accompanied by your guide, take in the highlights of Florence’s leading art museum, including works by masters like Leonardo da Vinci, Michelangelo, Raffaello, Tiziano and Caravaggio, and iconic paintings like Titian's ‘Venus of Urbino’ and Botticelli's ‘Primavera’. Great Tour. Very knowledgeable guide.